Translator's note: Red eyes mean you're screwed. A Fan Sub is a fan-produced subtitled version of a foreign-language program not yet officially available in the fans' nation of residence. Often of surprisingly high quality considering that they are usually produced and distributed within days of an episode reaching the air. Most commonly found for Anime and Japanese "dorama" (soap operas). Fansubs of Toku are beginning to appear as well. In the early days of anime fandom, fansubs were a major investment of time and energy for a fan or group of fans, requiring multiple VCRs, special titling equipment and a willingness to do a lot of tape duplication and mailing. In recent years the shift to DVD format plus the advent of sophisticated video editing tools for the PC has all but killed the videotaped fansub distributed by mail, replacing it with the "digisub" distributed as a video file on the Net via BitTorrent or other file transfer protocols. Strictly speaking, fansubs infringe on the intellectual property rights of copyright owners and their license-holders. The justification is largely that they are providing a product simply not available in a country commercially. The official position among most fansubbers is that the production and distribution of a fansub should stop when a licensed version is announced. Often though, this is after the series is completed and the fansub itself spread across the net. Some fansubbers sometimes refuse to drop licensed programs, particularly when those programs are both very popular and long running. It should be noted that licensed or unlicensed status does not alter the actual legality. In the past, Japanese copyright owners almost never got involved with Western fansubbers, probably due to the time and expense required. However, they are beginning to do so. Some import companies are also willing to overlook fansubs, while others issue cease and desist letters as soon as the deals are signed. Enforcement of copyright is largely left up to the holders to ensure, leaving the decision in the hands of the particular companies involved. In fact, there's an odd sort of symbiosis between the fansubbers and the importers. Fansubs can be used to gauge interest in potential licences — a fansubbed series with a major following in the United States is usually an excellent candidate for official licensing and thus potentially a very profitable property. For their part, the fansubbers will encourage fans to buy the official versions. The system appears to work well for both sides; series like Rozen Maiden, Simoun and AIR would certainly not have been licensed without the success of the fansubs. It used to be said in anime fandom that fansubbers categorically produce better product than the import companies, particularly in regards to the accuracy of translation. The claim is justified by the statement that the fansubbers are doing it out of love of the show, not for profit. In fact, the quality of fansubs can vary wildly. Some fansubs really are as good as a professional translation. A few are arguably better, offering more features including things like "karaoke lyric" subtitles and cultural reference footnoting. However, some fansubs are bad beyond belief. Additionally, many of the "extra features" and technical tricks used in fansubbing can result in subtitles that emphasize aesthetics over readability. To be sure, some fansubbers exaggerate their effect on the anime community. An example is that the sales of the Naruto manga only went through the roof after its appearance on Cartoon Network. And One Piece — another popular Shonen Jump manga that is considered one of the "big three", outselling nearly every other series in Japan — is not even in the top ten best-selling manga in the US, being surpassed by shoujo-esque titles such as Loveless and Fruits Basket. Furthermore, many of the niche titles that were popular as fansubs bombed dramatically when actually released, and Geneon in particular was a victim of licensing far too many of these series and overestimating the actual market for them. In fact, of the top-selling anime in the U.S., only major series like Naruto and Bleach have been heavily fansubbed. On the other hand, Naruto had upwards of 50 different fansub groups all releasing competing translations of the same show prior to being licensed, so there's plenty of evidence for a healthy debate. Recently, fansubs have become the largest Internet Backdraft in the anime community. This started around early 2008 when the anime industry began a major recession, with sales going down 20% in 2007 and significantly less anime being licensed year after year. This issue came to the forefront when Geneon, one of the largest and oldest anime import companies in North America, went belly-up. This was not helped by trolls on both sides, nor by the larger issue of piracy in general. "Ethical" fansubbing has also been adversely affected by a growing trend wherein American media companies offer financing to anime productions in exchange for prearranged North American distribution contracts. When such licenses don't result in all-but-simultaneous releases on both sides of the Pacific, they prevent subbers who respect licensing arrangements — still the majority — from making available those shows during the years it might take them to reach America through official channels. In an attempt to curb fansubbing, some Japanese companies have recently begun streaming their shows on the Net almost simultaneously with their local release — in particular, One Piece is streamed (or "simulcast") in English only an hour after the Japanese see it by Funimation. Of course, due to the streaming rights being region-specific, America gets the largest amounts of streams, though Crunchyroll does have streams with large amounts of regions as well. And to some extent, simulcasting has curbed fansubbing, at least in the traditional definition of the term. While some groups decide not to release series that are being simulcast on ethical/moral grounds, others find themselves unable to compete in their own arena. Since webrips of the streams appear online almost instantaneously, groups that produce their own subtitles from scratch are unable to release quickly enough to capture the kind of attention and download numbers they once commanded. As a result, many "old guard" groups have explicitly shut down, reduced their output to almost nothing, or hinted that they won't be in operation much longer. However, this has given rise to "Fansub 2.0" — the practice of groups that take the official subtitles, modifying the translations to fit their preferences, tweaking other things like the subs' timing/formatting/styles, and distributing them on a new encode. 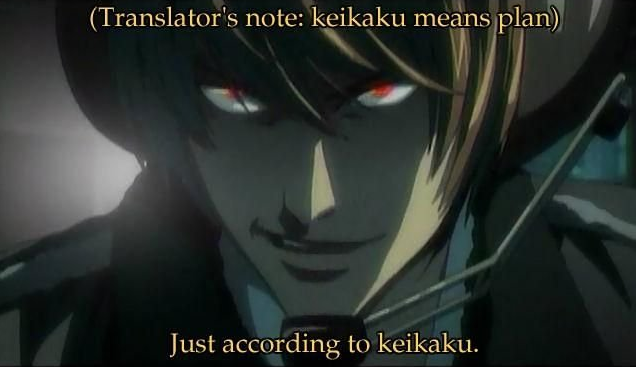 In essence, fansubbers that work without direct communication with their "translators." example Let's take the anime of Fate/stay night as an example: the first anime adaptation in 2006 had upwards of a dozen groups working on translating it. Fast forward 8 years later, to the 2014 adaptation, and there are only three groups bothering to do fansub work on it. Some research about the subject. Kafka-Fuura also gives his thoughts on the subject. See also Scanlations for the manga version and Fan Translation for the video game version. Is not the opposite of fandom.